I read this article and found it very interesting, thought it might be something for you. The article is called Rich Inheritance: Éna Brennan – Dowry and is located at https://www.totallydublin.ie/music/music-features/rich-inheritance-ena-brennan-dowry/. 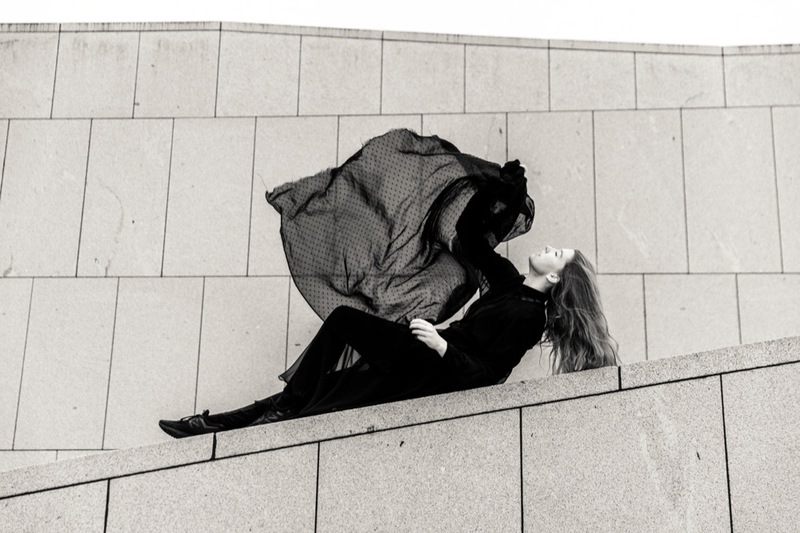 One of the most talked about acts in the Irish live scene, Éna Brennan’s Dowry has been slowly percolating and garnering devotees for a few years now. With the aid of her trusted fiddle, Brennan has been routinely fleshing out the sounds of some of the country’s most engaging emerging acts. 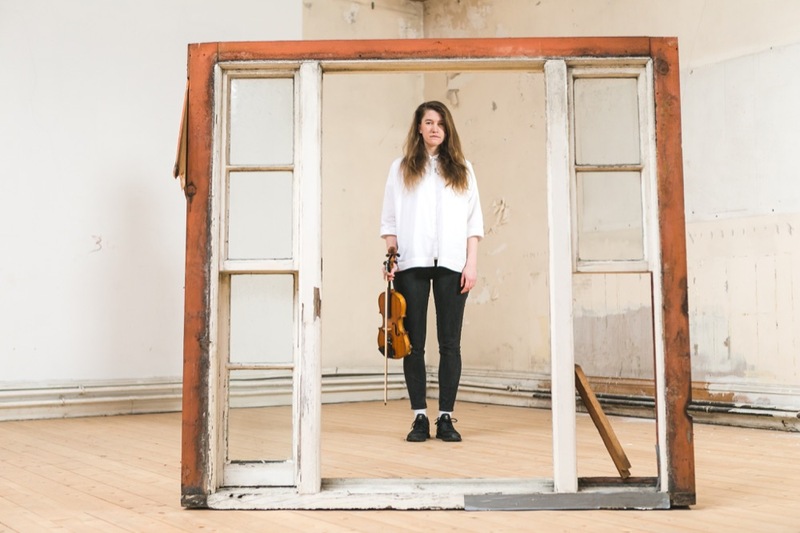 Dowry finds Éna stepping out on her own, looping treated violin, guitar and bass over her own stark, clear-eyed poetry. 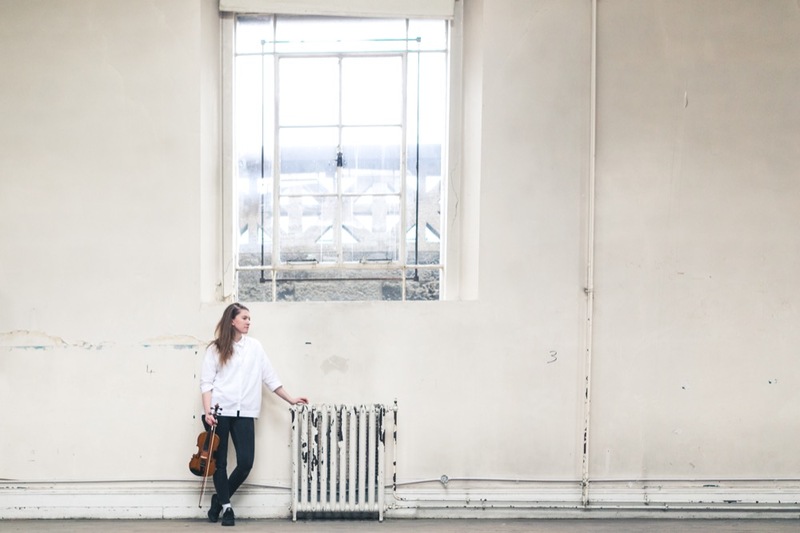 This summer sees Brennan expanding the project in scope and bringing her wondrous, mesmerising compositions to a slew of festivals around the country. 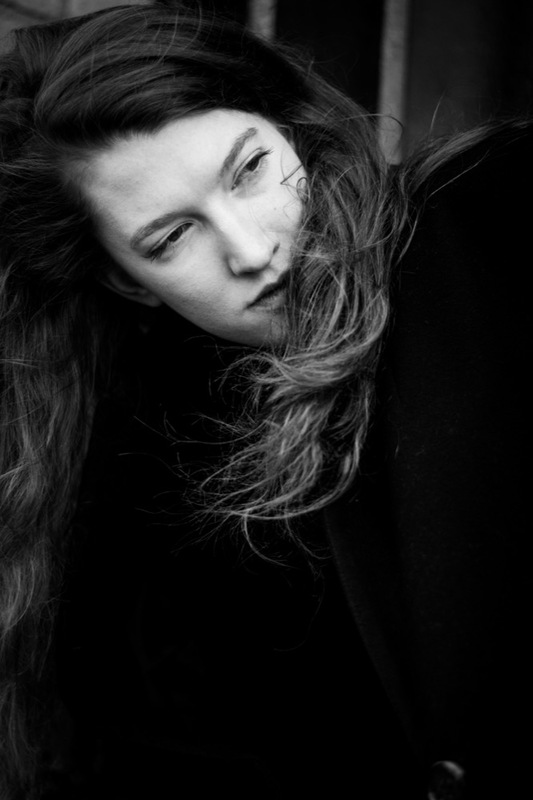 We sat down to get the scoop on how a Belgian-born prodigy found herself at the centre of the Irish indie sphere and where (if at all) the classical and pop worlds intersect. Yeah, my mum loves music. She’s a music teacher and as soon as I could be trusted to hold something, she gave me a violin — I was about four. My journey with the violin has been tumultuous, in that I didn’t always love it. I was describing learning the violin to somebody the other day and how it’s such an unforgiving instrument. A piano or a harp or something that has its tuning in place is far less grating on the ear. Especially because violins are small. There’s no resonance. There’s no way something that size can sound good. When you’re young, you’re just learning the body positions because they’re not natural — I think that’s why you have to learn so young, the muscle memory of it. There were a couple of years where I dreaded my classes. Like anything else, you just need to persevere and learn to love it for yourself. I was 17 when I moved over to Ireland and the first thing I did was join Trinity Orchestra. I’d moved into a completely new environment and what started as a social thing led towards a lot of the work that I do now. You worked with a lot of acts before venturing out solo. You’ve been a member of Bad Sea, Tandem Felix, Spudgun and Paddy Hanna. Would you say your experience is totally different to the backgrounds of a lot of your collaborators? It’s a very different way of working. When I started playing with bands, I tried to do things the way they did. Tandem Felix were the first band that I was in. My first gig with Tandem Felix, hilariously, Hozier supported us. When Dave [Tapley] asked if I wanted to be in the band, I was like “Oh! One violin! ?” I was used to being part of an ensemble and hadn’t really done that much solo playing. Music for me has always involved lots of people, I enjoyed playing in a group and I didn’t really want to do solo stuff… Which is funny since I’ve obviously chosen to go down a solo path. What learning from your experiences in bands do you think you’ve brought to Dowry? The lack of restriction when you’re talking to somebody who can’t notate. When you have five lines on stave and a certain vocabulary that you’re familiar with, you go to what you know. Whereas, if somebody doesn’t have a knowledge of that and they sing a line for you, it makes you think “how would I notate that?” It’s not in strict time. It makes you aware of the fact that there’s so much you can do to break the rules. It’s like slang, there’s so many ways of changing the words so that you’re better understood. How did your work with other acts begin to transition into Dowry? I was doing so much session work. Sometimes just recording, sometimes as part of a band, sometimes just once-off gigs. I realised I was getting really busy, but it was kind of sporadic work. I got tired, though. The kind of music I was doing with each band was very different, but none of it was my baby. It wasn’t totally musically satisfying; I didn’t have goals because they were always somebody else’s goals, not mine. I didn’t want to be a session musician all my life and it just led me to think that I hadn’t actually written music in a while. I’m a composer, I have a degree that says so! I think it happened to be around Christmas time. I was seeing all my relatives and they were asking “how’s the music going?” and I didn’t really have an answer. I needed a change and something to be my project. Like anybody, I’d always written songs, my mum is a Spanish guitar player, so guitars were around the house. I was always playing around with guitar but never for anybody else to hear anything. It wasn’t part of what I was doing – violin, choirs, studying music in college – guitar was just something I did for fun. I did record some demos and played around with lyrics but they were all just naff, adolescent, “this boy doesn’t love me” kind of stuff. Knowing I didn’t want to do 45 minutes of drone and looping experimental stuff, the question was how do I pair that element with my interest in writing songs, thinking about storytelling and bringing vocals and meaning into the picture. One thing that has been a restriction, but a good challenge, is that I’m one person on stage. It really affects the structure of my music because there is only so much that I can physically do. What I’ve tried to do with songs that have me playing guitar, for the most part, is always try and have an element of violin so that it’s texturally always underneath what I’m doing. I’ve realised that with a lot of my writing, that I either write extended intros or outros and then I’ll have a poem sung in the middle. More often than not, I don’t do a verse, chorus structure. I’m more like “getting the mood going… this is what I have to say… pick up the violin, lets rock out!” [Uncontrollable laughter at the use of term “rock out”]. That is so naff! Isn’t that exactly what somebody who was in classical music their whole life would say? How big a part does improvisation play in your current sets? It’s constantly there and I don’t want to lose it — It’s the way I started. The first single I put out [In É] was completely improvised. It was the way I started every set and the way I’d calm my nerves because the whole solo thing was very daunting. When you improvise, nobody has any expectations. You can judge the crowd, you can figure out how you’re feeling, there’s so many things you can decide on the spot. Or, if you’re feeling good about something, you can just keep going in that direction. Some people have said to me that it would terrify them to have to improvise but, for me, it’s the reverse. It’s a response, when you’re improvising you’re reacting to what you’ve just heard or what you’ve just done. So, I enjoy that reactionary element of a gig, I’m constantly reacting off other musicians when I’m in a band. Now, I’m just doing that with myself. When I’m looping something, I can decide, based on what I’m hearing, what I want to do next. Or, what the crowd might want to hear, how they seem to feel – if they’re chatty or if the room is big or who else is on the bill that night and all these different things. I enjoy that process, treating each gig differently based on all those variables; it keeps it interesting. The idea of playing the same set every night would kill me. Yeah. Again, going back to what I was saying about being one person on stage and being limited by that. There’s things I can’t do but, for a while, the idea of burdening somebody with my own music was terrifying. Also, the more people on stage, the less on-the-fly decisions you can make. The reason I want to start now is that I feel far more comfortable with the material that I have. I have a lot of songs that I dip in and out of. Because I used each gig as a new experiment, there are songs that are old but I still play them every three or four gigs. So, I haven’t really lost touch with a lot of material. It’s funny, I’ve never had to arrange my own music before. When you arrange a piece of music, there is an element of loyalty to the existing music. It’s somebody else’s baby and though I’m adding something, it’s got to stay true to their voice. It was interesting not having limitations in that way because, as I said, I like some restrictions.